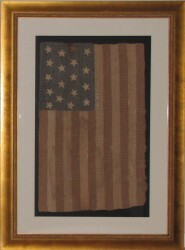 Antique 39 Star Flag. 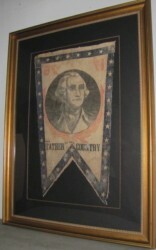 Very rare antique flag that has hand painted stars. Only the earliest of flags were hand painted. 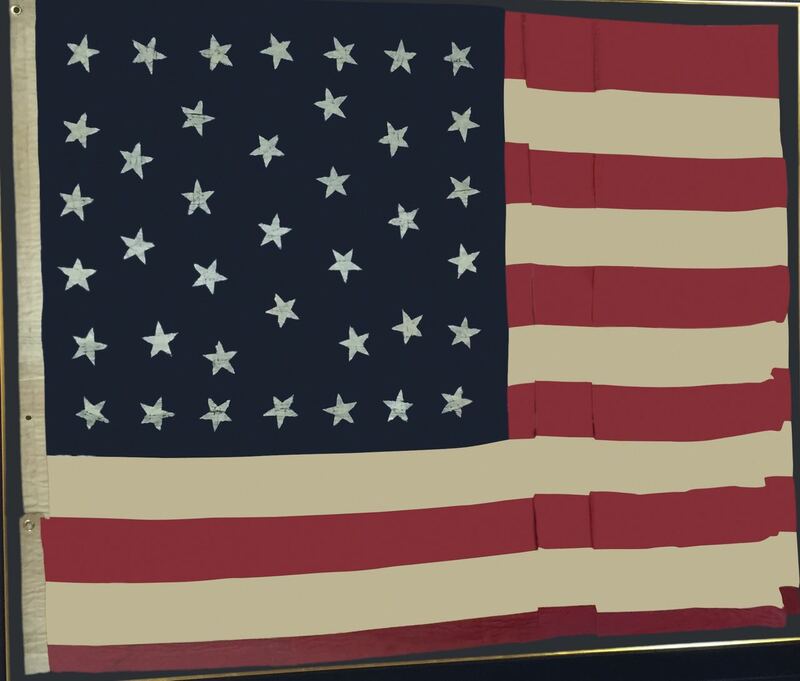 They also used hand painted flags during the Civil War. Another rare trait of this beautiful flag is that it has a very rare star arrangement, as the stars are placed in the canton in a scattered pattern. 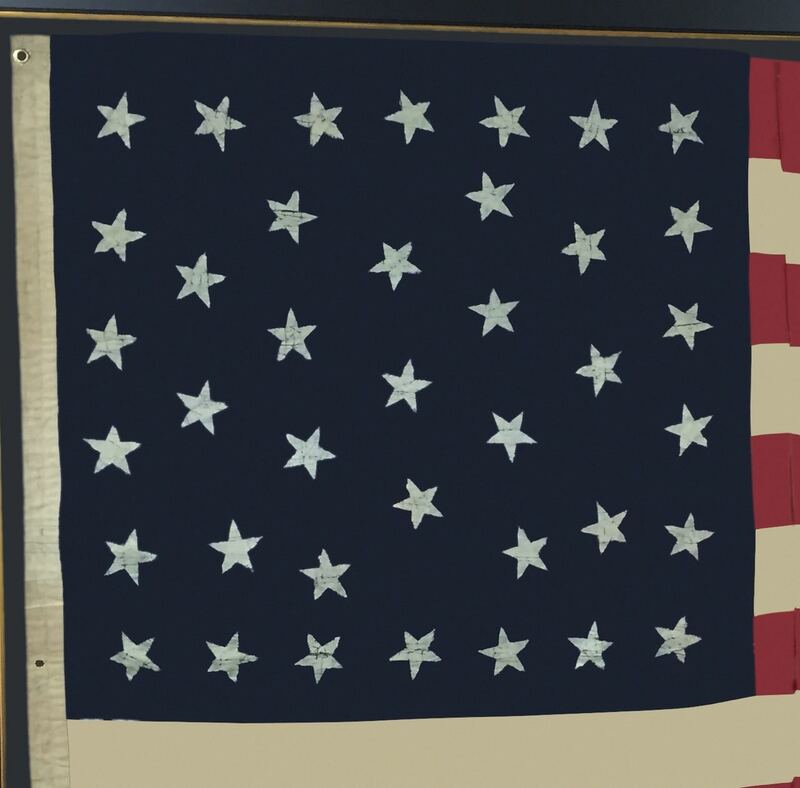 The maker was trying to follow the Founding Fathers exact directions in making a flag as its spelled out in the Constitution that the stars be arranged as a “New Constellation” (in the night sky) That is what the maker of this flag is trying to do. Made of home spun cotton. Circa 1889-1890. This very rare and antique flag comes with a certificate of authenticity and is white gloved shipped. 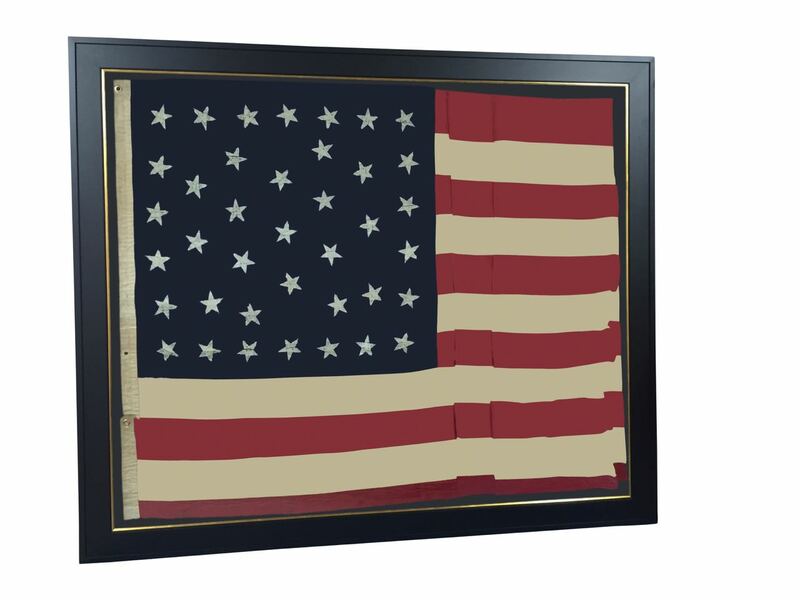 Framed using museum framing with UV acrylic, this is a large flag measuring 80″ wide. 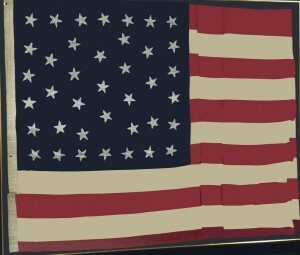 This flag is indeed perfect for those who collect American history and items with rare traits. 39 stars is an unofficial count, because of the introduction of North Dakota (39) and South Dakota (40) at one time, instead of as a single state (formerly the Dakota territory). Despite the fact that the U.S. went from 38 stars to 40 stars in a single event.